open daily 10am to 4pm apart from Sundays. We’ve got lovely Easter stock currently in store with a delightful range of lovely things by Gisela Graham including pastel eggs, bunnies in beautifully embroidered coats, chicken egg cups, banners and garlands, butterflies, and hens! We’ve also got lovely Peter Rabbit books and soft toy rattles which make a great alternative gift to a chocolate egg for wee ones. 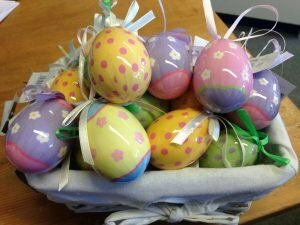 We’re open on Good Friday and Easter Monday. 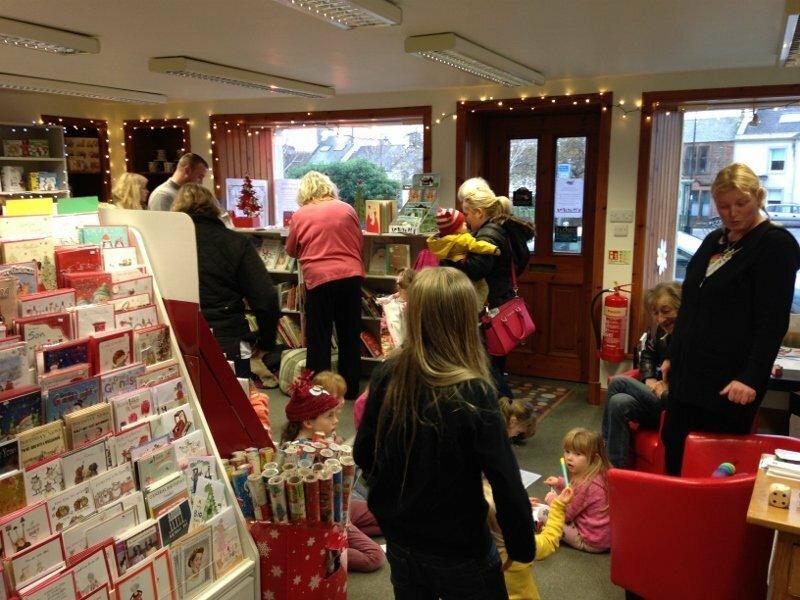 In the autumn of 2015 we decided to take over the children’s bookshop in Scotland’s National Booktown, Wigtown that had been successfully run for more than 15 years by Fiona Murphie. 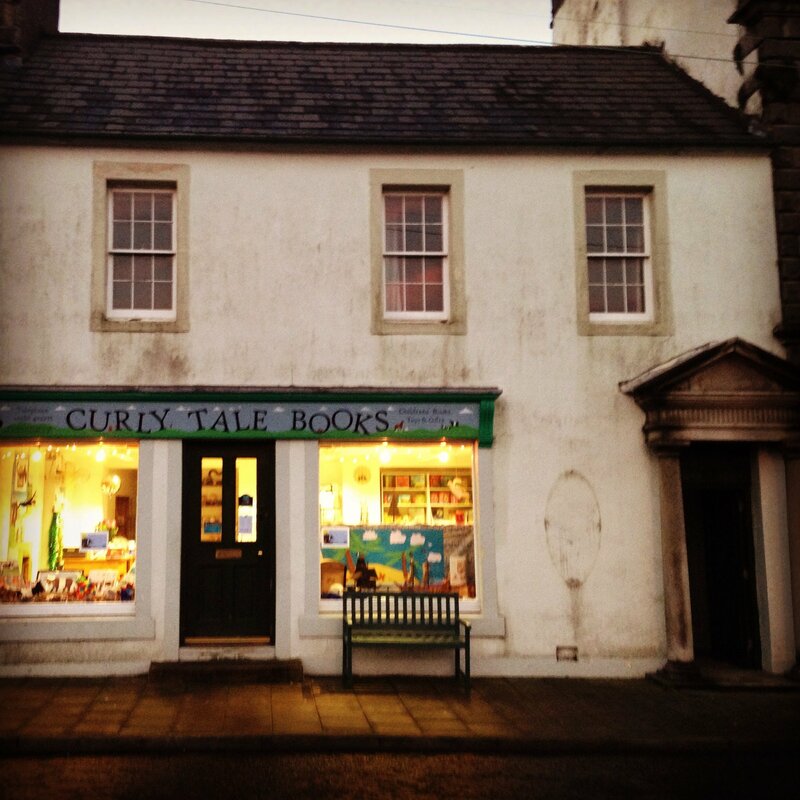 Fiona played a key role in the development of Wigtown from the bid to become National Booktown through the first years of the annual festival to organising the successful Whisky and Food Festival in 2014. Standing right next door to The Bookshop, the children’s bookshop has a great position on the sunny side of the town, just across the road from the merkat (market) cross. The shop has three main rooms though we’re planning to turn the back room into an office for the publishing side of the business and as a space for workshops and events. The shop has been called The Box of Frogs for many years but we have changed the name to Curly Tale Books but we hope to provide the same level of expertise combined with a wide variety of children’s books (new and pre-loved), toys, cards and gifts. We will be holding lots of events and regular storytelling sessions. You can keep up to date by liking our facebook page. Hope to see you soon.